Any trading as you well aware involves risk. What differentiates experience, season trader from a novice one is ability to mitigate this risk. To be successful every trader before entering the trade has to set the proper expectations. If you want to stay in trading business for a long time, you have to learn how to manage and protect your trades from the downside. If you learn how to minimize your potential loses, profit side will come alone. Before entering into the long/short trade you have to calculate probability of underlying asset not reaching certain price within time frame that you want to stay in the trade. And if underlying is moving in the right for you direction, you can adjust your timeframe by calculating exit point, using the same methodology. 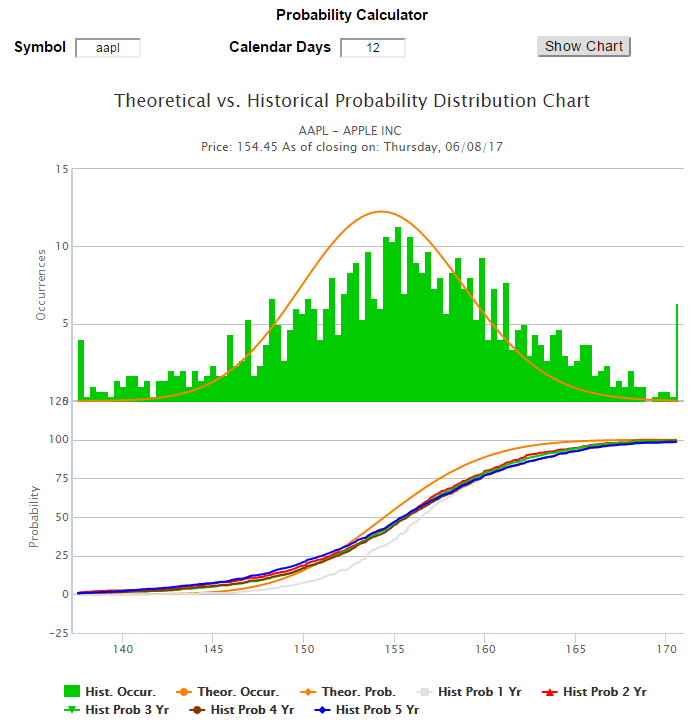 Probability Calculator allows traders manage and minimize their risk by providing in-depth probability analysis for underlying assets not reaching certain price within set time frame.